SC Johnson owns the last operational corporate headquarters designed by Frank Lloyd Wright. 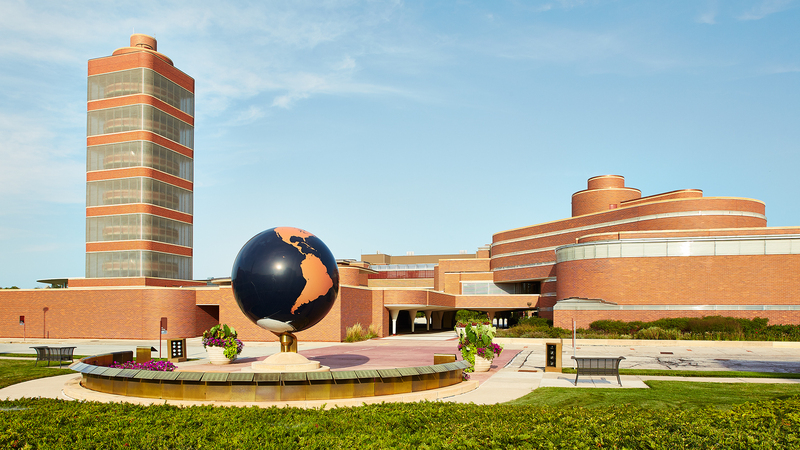 SC Johnson offers free public tours of its historic Research Tower and Administration Building in Racine, WI. RACINE, Wis., April 25, 2017 – While famous American architect Frank Lloyd Wright’s portfolio includes a number of offices and headquarters buildings, SC Johnson owns the last operational corporate headquarters that Wright designed. To help continue Wright’s important legacy, SC Johnson, the maker of trusted household products like Glade®, Raid®, Scrubbing Bubbles® and Ziploc®, has once again started its free public tours of its historic Research Tower and Administration Building. SC Johnson’s Frank Lloyd Wright-designed buildings are also the first stops on Wisconsin’s new Frank Lloyd Wright Trail. A product of conversations between SC Johnson and Wisconsin State Rep. Cory Mason, with support from Speaker Robin Vos, the trail connects nine of Wright’s architectural sites across the state to make it easier from visitors around the globe to experience and enjoy Wright’s legacy in his home state. SC Johnson welcomes visitors to experience our Frank Lloyd Wright-designed buildings Thursday through Sunday. While the tours are free, reservations are required. To learn more about SC Johnson’s free tours and to make a reservation, visit www.scjohnson.com/visit. To learn more about SC Johnson’s inspired architecture, please visit www.scjohnson.com/en/company/architecture.aspx.